© All images are copyrighted to their respective owners. All Rights Reserved. Website Design by Chronic Behavior LLC. 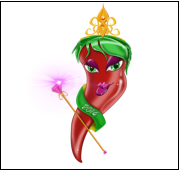 Eva Louis / Executive Director Hello and welcome to the Miss Chili Pepper Pageant 2015!! We are happy to present this opportunity to participate in a new upcoming exciting pageant in one of the most versatile and exhilarating cities in the world, Las Vegas, Nevada. We have partnered up with Davidson Productions, LLC to bring this event to life on behalf of The Vegas Chili Cook Off and Car Show event being held at Circus Circus on May 1 and 2, 2015!! We just completed our 2014 Pageant and it was a complete success. We crowned our inaugural Queens on June 7th and created such a sensation we had to start planning for 2015 right away. The program has been developed to introduce contestants to a fun, safe, and empowering environment that will allow them to compete and participate where they can show case their stage performance, community service, as well as support of the surrounding event. We are seeking individuals looking to gain an introduction to pageants, an opportunity to express themselves, as well as meeting and developing another network of acquaintances and friends to share memories with that will last a lifetime. The overall competition will consist of the following components and structure: 1. Official Registration Form filled out and submitted. 2. Contestants will be introduced in their Casual Wear (Chili Pepper and/or Personality inspired) for the first walk and on-stage question. 3. 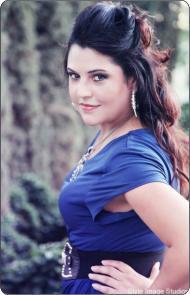 Second walk will consist of formal dress/gown 4. Onstage statement will consist of: o For Teen Miss / Miss / Ms / Elite —Each contestant will be asked to explain in two minutes or less why they should be selected to represent Miss Chili Pepper Pageant and what their best quality is. o For Little Miss—Jr. Miss— Each contest-ant will be asked why they want to be part of the pageant and what it means to them. 5. Optional component - Photogenic Award. Information is available on the Registration Packet. We are excited and hope you will be too. For more information, please go to our Registration Section to obtain details. Deadline for Submission is March 1, 2015. Late Fees will apply for any Submissions after March 1, 2015.